Dramatic Entrance. 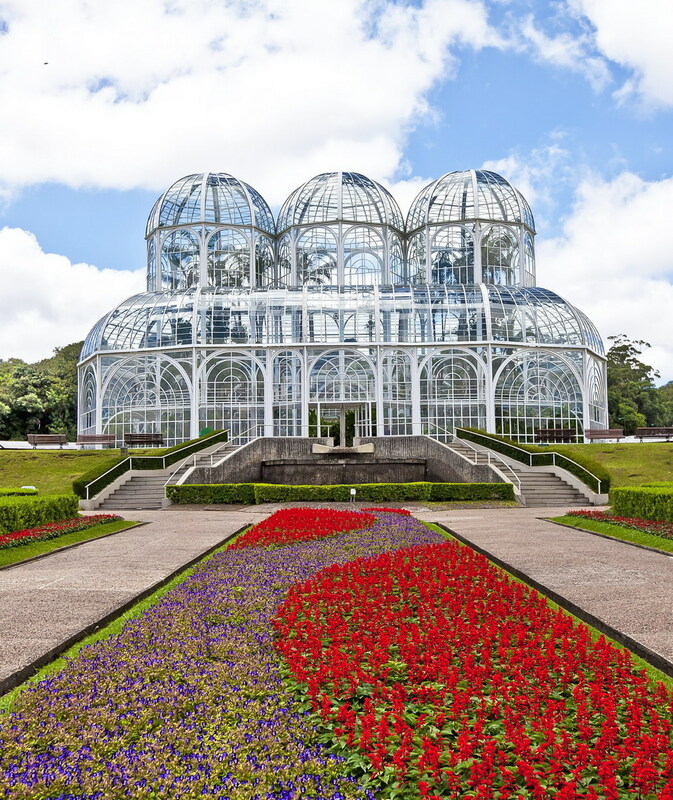 A carpet of flowers leading to the striking French Art Nouveau-style greenhouse at Curitiba Botanical Gardens in Brazil. Photo courtesy of the Brazilian Federal Government. This entry was posted in Garden and tagged Botanical Garden of Curitiba, Brazil, Curitiba Botanical Gardens, flowers, garden, gardens, greenhouse, Jardim Botânico de Curitiba, photo, photography, South America. Bookmark the permalink. That’s a stunning greenhouse and reminds me of our own wonderful Kew Gardens in London. In fact, I thought that’s where it was at first. I so look forward to Spring to visit Kew and see all the daffodils and bluebells. Thanks for putting this up! So spectacular!!! Superb compo nicely framed and displayed!!! Perfect leading lines and brilliant colouring range !!! I so much agree with the above comment. At first, I thought it was an image from the Kew Gardens in London.